A local man has been arrested by deputies for indecent exposure after he was caught trying to get into his neighbor's home. According to reports from PCT 4, on April 9, 2019, a deputy with Constable Mark Herman's Office responded to the 3600 block of Wells Mark Drive in Atascocita in reference to an unknown male exposing himself and engaging in lewd conduct toward a complainant. 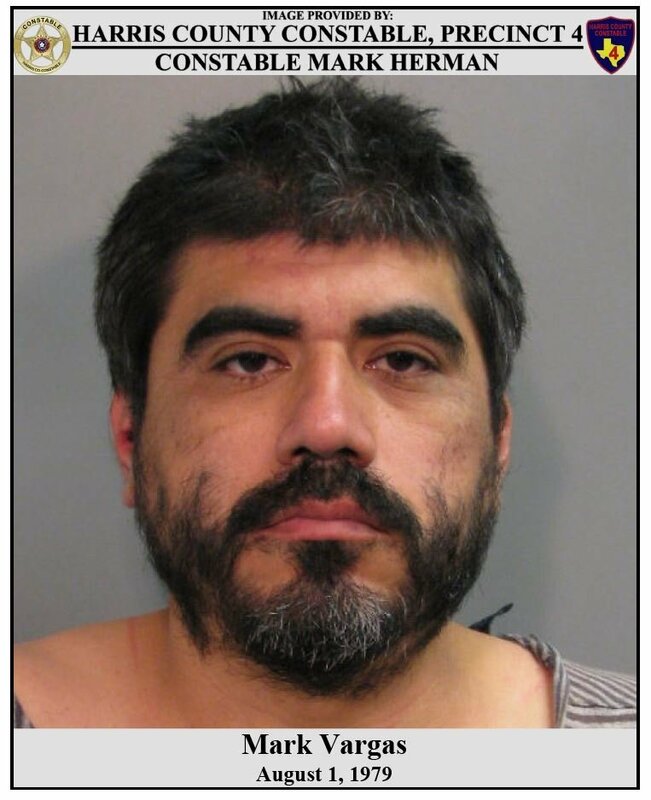 Then, on April 10, 2019, Constable Deputies were called back to the same location in reference to the same male suspect attempting to enter the complainant's residence while she was not home. Upon deputies arriving, they quickly detained the male and identified him as Mark Vargas, who lives just down the street from the complainant. Atascocita Forest subdivision. His escalation of offenses towards her is really scary. I'd move immediately. Glad they got him, Imagine living next to this perv?! Just be glad it wasnt a full moon cause im pretty sure thats Wolf Boy. I would recommend a restraining order at the very least. This is creepy and scary. @janetfromtexas : That $100 is really going to slow this pervert down, right? He is out....but 100 bucks? really! @AtascocitaDotCom : That is really scary! Only $100? That is crazy! If his bond is $100 he only had to pay $10? That's ridiculous. Are you a neighbor? Do you mean he was knocking on all of those doors trying to find an empty house to break into? The article sounded like he targeted her. It seems lately all these bonds have been $100. This system is ridiculous IMO. Wow, he looks way older then 40 years old!! @Sammee : I live on street behind him. He was knocking on houses up and down several streets only with cars in driveway and several people said when they answered door he would say wrong house or say he was looking for his brother. One lady posted that he asked her to come out to his car for some ice cream. Was just scary for couple of days before they got him. @janetfromtexas : That's crazy! I hope the police have all of that info so they can hopefully use it against him. A voting surge cleared the Harris County courtrooms of all elected Republican judges, leaving only Democrats on the bench in civil, criminal, family, juvenile and probate courts. Tuesday's sweep - the final blow after years of winnowing down of GOP judges since 2008 - put Democrats in all 59 seats that were on the ballot. Did you all forget that this happened in 2018..... A voting surge cleared the Harris County courtrooms of all elected Republican judges, leaving only Democrats on the bench in civil, criminal, family, juvenile and probate courts. Tuesday's sweep - the final blow after years of winnowing down of GOP judges since 2008 - put Democrats in all 59 seats that were on the ballot. @JustSayn : Elections have Consequences. Someone posted an article recently that said these low bonds are due to a federal judge declaring Harris county was violating the rights of poor people by giving out high bonds. I can't find that exact article.